The Orangery at Kensington Palace is temporarily closed for restorations. High tea service has been relocated to the nearby Pavilion. The Orangery, Kensington Palace, Kensington Gdns., London W8 4PX, 020-7376 0239. 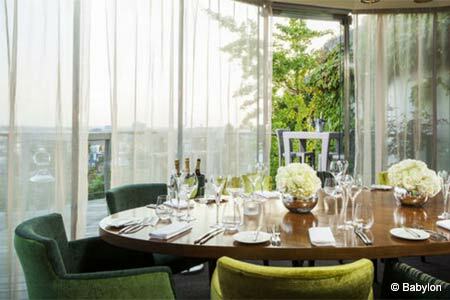 Babylon, which offered high-end dining and views over London's rooftops, has closed. Babylon, 7th Floor, The Roof Gardens, 99 Kensington High St., London W8 5SA, no phone.